Three different skill level pump tracks. Alot of fun. Situated at the highest spot in Poland, this place is perfect for street riders, dirt and beginners. Kids start riding and immediately lean toward doing tricks and moving as quickly as they can to the Tailwhip. Once they start learning the Pumptrack, you can quickly see there is something lacking in their riding skills. 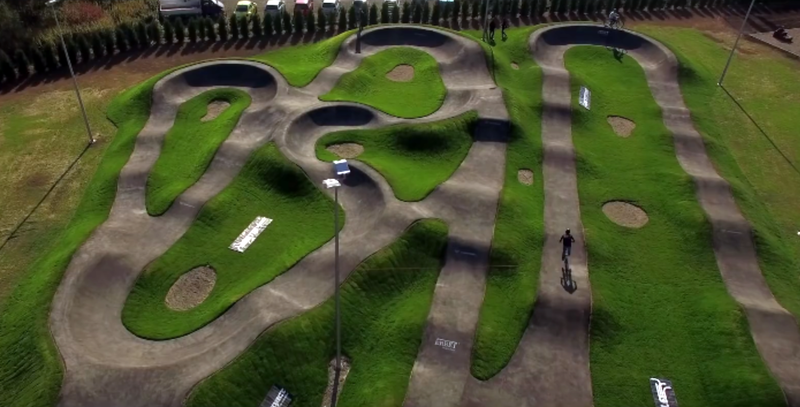 With the Pumptrack, you can start to feel the bike, and then move to jumps and tricks. We should all have such a place. And it’s has it’s own lighting for night riding.